What would you cook on a brand new BBQ grill? Those of you who follow Seasonal Eating’s Facebook page know that after many grill-less years, my husband Bruce finally bought a gas grill on Memorial Day weekend. I appreciate all the “what to grill” suggestions from readers, and you will no doubt be seeing future posts about them. Please share any of your other favorite to-grill foods in a comment below! For our first to-be-grilled food, I thought of a chance encounter with a young, good-looking butcher at Staff of Life Market years ago. I was presented with a dilemma: leg of lamb on sale at a ridiculously low price, but only two people at home to eat it. This butcher had all the answers, including how to cook it and freeze the leftovers. 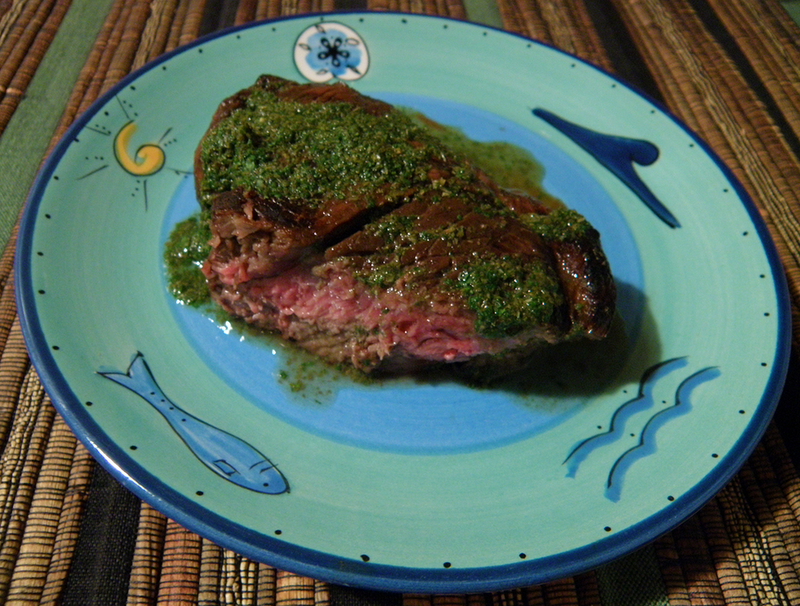 He said to cut it into thick steaks and marinate it in balsamic vinegar and garlic, then grill it. When I asked for details about cutting up steaks, he offered to do it for me. Was there any reason not to go for it? The butcher also suggested that I freeze some of the meat. I did freeze it, after grilling. It was surprisingly good weeks afterwards, retaining the smoky sweet BBQ flavor and the lamby pungency. Chops broiled in the oven just cannot compare. If you don’t have time to make the garlic slivers and insert them into the meat, you can press the garlic and add it to the marinade instead. Use more garlic if you do that, maybe 6 cloves. Keep in mind that the lamb will be tastier with the garlic slivers in the meat itself, though. Perhaps ask someone who likes using knives to help you. Mint sauce recipe is in next post. Enjoy the (grilling) season and do leave a comment about meats, veggies, or fruits that you like to grill. Cut the garlic lengthwise into small slivers. Cut small slits in surfaces of lamb chops and slide garlic slivers into slits. Salt and pepper lamb chops. Lay flat in large ziplock bag. 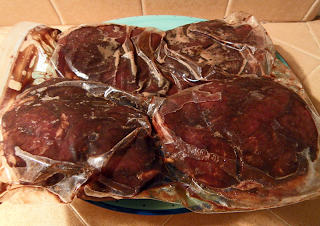 Add marinade and squeeze out as much air as possible, seal bag. Put on plate (to catch possible drips) and refrigerate. 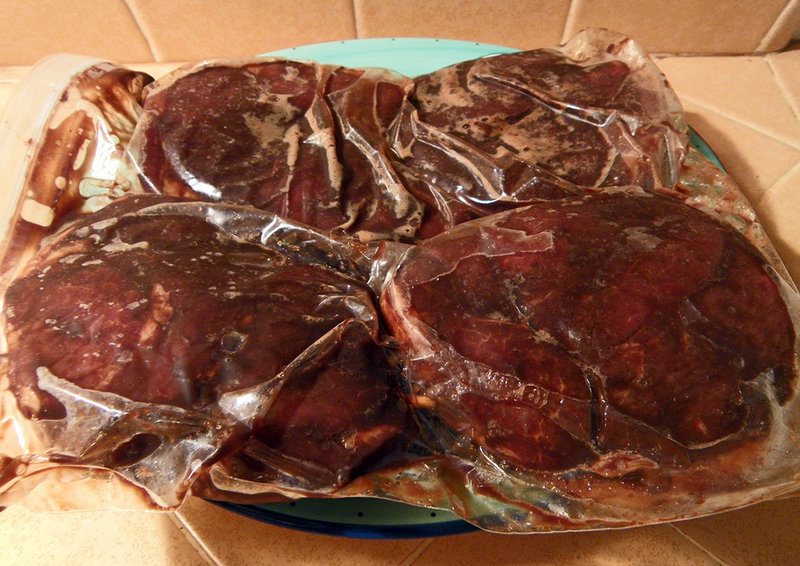 Marinate at least 6 hours, 8 is better. Flip bag over every hour or two so both sides of meat are equally marinated. For gas grill, soak wood chips in water for 1 hour before grilling. Drain well and put into smoker box. Oil the grill lightly, or use a no-stick cooking spray before lighting. Light a burner and add the smoker box above the burner. Close lid and wait till grill fills up with smoke. Drain marinade from lamb chops and discard. Place lamb chops on a plate and sprinkle both sides with salt and pepper. 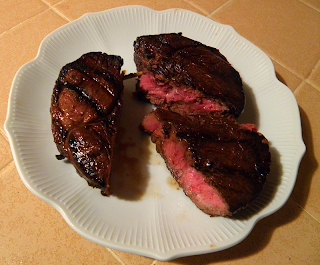 When grill enclosure is smoky, turn on searing burner (or main burner) on high for 15 minutes or until grill is hot. Put lamb chops on grill and close lid. Grill for 2 minutes and flip, close grill, and grill other side of meat for 2 minutes. Turn burner down to medium. Cook 5 minutes. Open grill and flip meat. Cook 5 minutes on other side. Check internal temperature of thinnest chop with meat thermometer. If it’s 145 degrees or more, and you like it rare, it’s ready. Check temperature of other chops, thicker ones will take longer. Check temperature every 3 minutes, flipping as needed. Remove chops from grill onto clean plate. 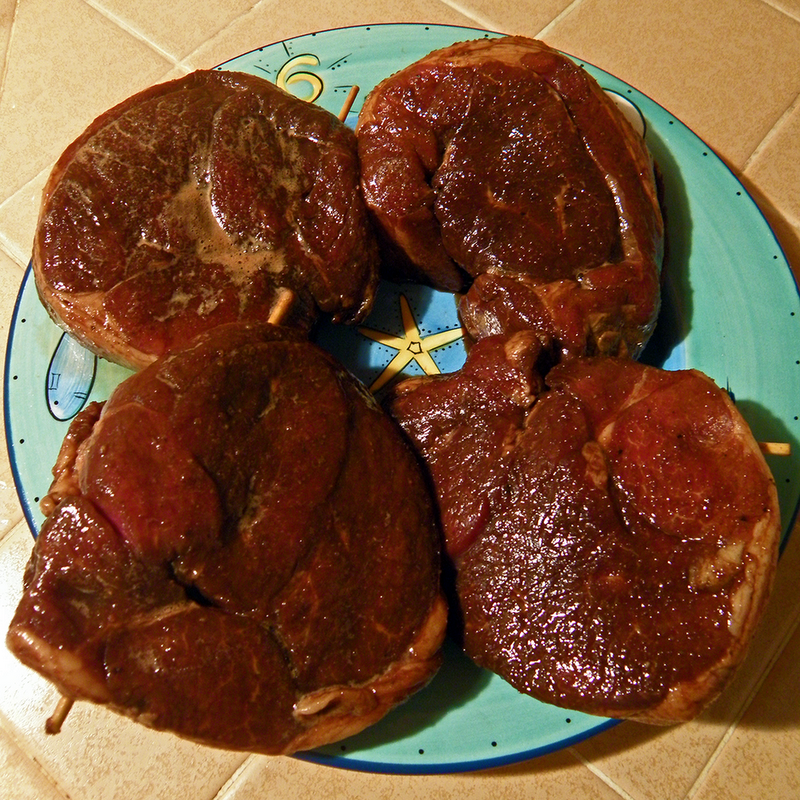 If you don’t have a meat thermometer, you can check the chops by cutting into the center. This method is less desirable because the juices will run out of these cuts. When removed from grill, let meat rest for 5 minutes before cutting. Serve with Mint Sauce (recipe in next post) if desired.